Nothing feels better than surprising a friend or family member with the perfect present. The sort that underlines how well you know them, and more importantly, how much you value their friendship. Being recognized and appreciated makes us all feel good, even when it comes from a promotional email or text alert. SaveAround Corporate Solutions believes in saying thanks to our biggest motivator, our customers. In fact, the Rewards Platforms were created with the express purpose of reminding customers of their value to us. Creating a rewards system for customers comes as second nature to SaveAround Corporate Solutions. Every customer contributes to the success of your product, and recognizing them aides retention and the addition of new customers. The Rewards Platforms thrive on this; employing the appropriately named Surprise and Delight program. This comes in the form of unannounced promotions aimed at customers shopping habits. For example, when a customer enrolled in our rewards program shops at a participating retailer, they may receive an email or text message after checking out. These messages are succinct, opening with a thank you, and quickly encouraging the customer to buy again, but with a coupon or cash off rebate this time around. The quick turnaround time and incentivization create an offer that is hard to refuse. Surprise and Delight rewards work because they come from brands the customer already adores. The Targeted Offer rewards work in a similar manner. These rewards are triggered by purchases the customer has made, or the location they are tagged under. This demonstrates a bit of control on behalf of the Rewards Program, as it would be easy to bombard a customer with every discount out there, but that would probably result in customer fatigue. It’s nice to be recognized, but it’s not enjoyable to sift through endless, irrelevant messages. Targeted Offers create the idea of a more curated discount feed to the customer, and appear less annoying by offering discounts that would be most likely to result in a purchase. 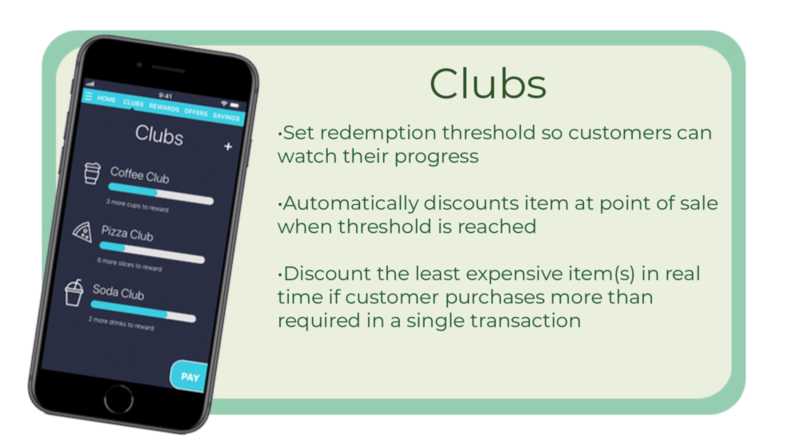 The third type of rewards program SaveAround implements is the Club rewards program, which operates like a frequent buyer punch card. Customers are motivated to make repeat purchases in order to unlock a larger bonus, such as a free item or a rebate. Club rewards are incredibly effective in this regard, the image of a gauge being filled makes each repeat purchase more encouraging. Additionally, and maybe most obviously, all customers love free things! Are you ready to start surprising and delighting your customers with irresistible offers? Reach out to the team at SaveAround Corporate Solutions for a Rewards Program tailored to suit your business! Creating Engagement Solutions for Companies. Find out about SaveAround Corporate Solutions!